Cruiserweight Champion, Shane Helms, defeated Chavo Guerrero, Jr. 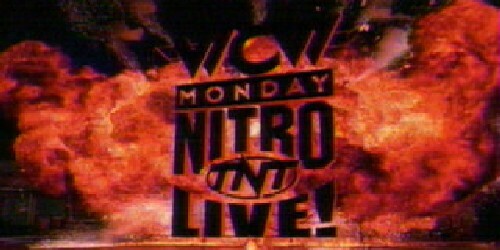 The show ended with Shane McMahon coming to the ring announcing that he had purchased WCW thus spoiling Vince McMahon's celebration. 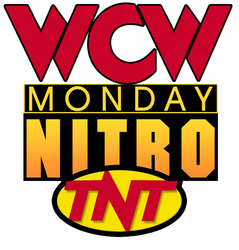 This was the last ever WCW Monday Nitro broadcast as the company was disolved and an ill-faded attempt at an invasion angle was attempted on WWF programming. Lance Storm and Mike Awesome defeated World Tag Team Champions, Chuck Palumbo and Shawn O'Haire, in a non-title match. Diamond Dallas Page defeated United States Champion, Rick Steiner, by Disqualification. Booker T. and Diamond Dallas Page defeated The Steiner Brothers. Jeff Jarrett defeated Dustin Rhodes. Ric Flair was the special guest referee. Diamond Dallas Page defeated Kanyon. Billy Kidman defeated Elix Skipper. Kevin Nash defeated World Champion, Scott Steiner, by Disqualification. World Champion, Scott Steiner, defeated Kevin Nash and Rick Steiner in a handicap match. Chavo Guerrero Jr. and Road Warrior Animal defeated Billy Kidman and Rey Mysterio Jr.
Kevin Nash defeated Buff Bagwell and Lex Luger in a handicap match. World Champion, Scott Steiner, fought Jeff Jarrett to a No Contest. Lethal Lottery World Tag Team Title Tournament Match: David Flair and Crowbar defeated Kevin Nash and Scott Steiner to win the World Tag Team Titles. World Heavyweight Champion, Bret Hart, and Kevin Nash fought to a No Contest. Big T (Ahmed Johnson) pinned Booker T.
Diamond Dallas Page pinned Buff Bagwell. Lex Luger defeated Booker T.
Sid Vicious pinned Kevin Nash to win the World Heavyweight Title. United States Champion, Jeff Jarrett, Ron Harris, and Don Harris defeated World Heavyweight Champion, Sid Vicious, Terry Funk, and Ric Flair. The Wall pinned Booker T.
World Heavyweight Champion, Sid Vicious, pinned Scott Hall. United States Champion, Jeff Jarrett, pinned World Heavyweight Champion, Sid Vicous. Jarrett's US title was on the line in this match. Hulk Hogan defeated Lex Luger in a Last Man Standing Cage Match. World Heavyweight Champion, Sid Vicous, defeated Tank Abbott. The Wall and United States Champion, Jeff Jarrett, defeated World Heavyweight Champion, Sid Vicious, and Vampiro. Ric Flair and Lex Luger defeated Hulk Hogan and Curt Hennig by Disqualification. Scott Steiner and United States Champion, Jeff Jarrett, fought to a No Contest with Hulk Hogan and World Heavyweight Champion, Sid Vicious. Hulk Hogan and The Wall fought to a No Contest. World Heavyweight Title Tournament Match: Diamond Dallas Page pinned Sting. World Champion, Jeff Jarrett, defeated United States Champion, Scott Steiner, by Disqualification. Vampiro defeated Sting in a First Blood Match. Mike Awesome pinned Hulk Hogan. World Champion, Jeff Jarrett, pinned Sting. Ric Flair defeated Jeff Jarrett to win the World Heavyweight Title. World Champion, Jeff Jarrett, and Kevin Nash fought to a No Contest. Jeff Jarrett pinned Ric Flair to win the World Heavyweight Title. Kevin Nash and New Blood fought to a No Contest in a gauntlet match. Kevin Nash and Bill Goldberg fought to a No Contest. Kevin Nash pinned Ernest Miller in a "Scott Hall Contract Match"
World Champion, Jeff Jarrett, pinned United States Champion, Scott Steiner. Mike Awesome was the special referee. 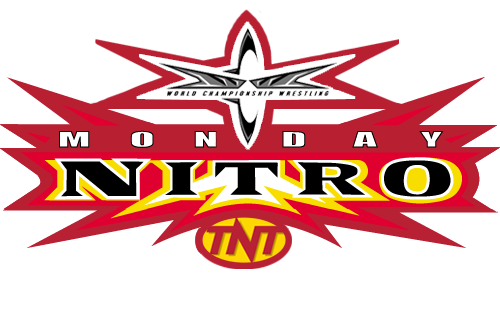 Mark Jindrak and Shawn O�Hare defeated Juventud Guerrera and Rey Misterio Jr.
World Champion, Jeff Jarrett, defeated Kevin Nash, Bill Goldberg, and Scott Steiner in a four corners match. Kevin Nash won a battle royal. Jeff Jarrett defeated Bill Goldberg, Scott Steiner, and Kanyon in a four way match. Bill Goldberg and Scott Steiner fought to a No Contest. General Rection and Cpl. 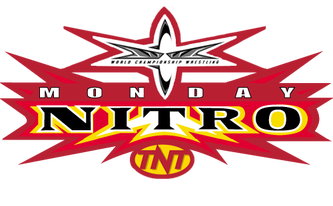 Cajun defeated Rey Misterio Jr. and Disco Inferno, Mark Jindrak and Shawn O�Hare, and Chuck Palumbo and Shawn Stasiak in a "Four Team Caged Heat Elimination Match"
World Champion, Booker T., pinned Bill Goldberg. World Champion, Booker T., pinned Sting. Scott Steiner and Rick Steiner fought to a No Contest against Kevin Nash and Sting. Sting defeated Vampiro, The Great Muta, and Demon in a four corners match. Lance Storm and Jeff Jarrett defeated Mike Awesome and Gen. Rection. Sting and The Great Muta fought to a No Contest. World Champion, Kevin Nash, won "Wargames." Particiapants include: Sting, Jeff Jarrett, Scott Steiner, Bill Goldberg, Booker T., Kevin Nash, Kronic, and The Harris Brothers. World Champion, Kevin Nash, and Scott Steiner fought to a No Contest. Vince Russo and Booker T. defeated Scott Steiner and Jeff Jarrett. Vince Russo defeated World Champion, Booker T., in a steel cage match. Booker T. defeated Jeff Jarrett in a San Francisco 49er Box Match to win the World Title. Mike Sanders and Kevin Nash defeated The Cat and Booker T.
Kevin Nash pinned Sting in a lumberjack match. Scott Steiner defeated Mike Awesome. World Champion, Booker T. defeated Scott Steiner and Mike Awesome in a three way match. World Champion, Booker T., defeated Kevin Nash. World Champion, Scott Steiner defeated Stevie Ray. World Champion, Scott Steiner, defeated United States Champion, General Rection. World Champion, Scott Steiner, defeated Sgt. AWOL. Jeff Jarrett defeated Lance Storm in a Contender's Tournament Match. Psichosis and Juventud Guerrera defeated World Cruiserweight Champion, Billy Kidman, and Rey Misterio Jr.
Hollywood Hogan pinned Kevin Nash to win the World Heavyweight Title. Kevin Nash pinned The Giant. The Faces of Fear defeated Mike Enos and Bobby Duncum Jr.
Lex Luger defeated Rey Misterio Jr.
Goldberg defeated Scott Hall and Bam Bam Bigelow by Disqualification in a three way match. United States Champion, Bret Hart, pinned Booker T.
Ric Flair, Chris Benoit, and Steve McMichael defeated Hollywood Hogan, Kevin Nash, and Scott Steiner by Disqualification. Scott Hall pinned Chris Benoit. Hollywood Hogan, Kevin Nash, and Scott Hall defeated Ric Flair, Steve McMichael, and Chris Benoit. Chris Benoit and Dean Malenko defeated Mike Enos and Scotty Riggs. Bill Goldberg defeated Scott Steiner by Disqualification. Chris Jericho defeated Lizmark Jr.
Scott Steiner defeated Booker T.
Ric Flair and Bill Goldberg fought to a No Contest. Hollywood Hogan and Kevin Nash defeated Ric Flair and Bill Goldberg. World Heavyweight Champion, Ric Flair, defeated World Cruiserweight Champion, Rey Misterio Jr.
Hollywood Hogan pinned Diamond Dallas Page. World Heavyweight Champion, Ric Flair, fought to a No Contest with Hollywood Hogan, Diamond Dallas Page, and Bill Goldbereg in a four way match. Diamond Dallas Page pinned Scott Steiner. Diamond Dallas Page and Bill Goldberg fought to a No Contest. World Heavyweight Champion, Diamond Dallas Page, pinned Ric Flair. Van Hammer pinned Chavo Guerrero Jr.
Diamond Dallas Page, Bam Bam Bigelow, and Ric Flair fought to a No Contest with Roddy Piper, Chris Benoit, and Dean Malenko. World Television Champion, Rick Steiner, and Sting fought to a No Contest in a steel cage. Buff Bagwell pinned Disco Inferno. World Heavyweight Champion, Kevin Nash, and Sid Vicious fought to a No Contest. Sting and Randy Savage fought to a No Contest. World Heavyweight Champion, Kevin Nash, defeated David Flair by Disqualification. Sid Vicious and World Heavyweight Champion, Kevin Nash, fought to a No Contest. Hollywood Hogan pinned Randy Savage to win the World Heavyweight Title. World Heavyweight Champion, Hollywood Hogan, defeated Sid Vicious by Disqualification. Kevin Nash and Sid Vicious defeated Hollywood Hogan and Sting. Perry Saturn pinned Bobby Duncum Jr.
Sting and Bill Goldberg defeated Rick Steiner and Sid Vicous by Disqualification. Bill Goldberg, Sting, and Hulk Hogan defeated Sid Vicious, Kevin Nash, and Rick Steiner. World Cruiserweight Champion, Rey Misterio Jr., and Lenny Lane fought to a No Contest after Sid interfered. World Heavyweight Champion, Hulk Hogan, and Sid Vicious fought to a No Contest. Kiss Concert and debut of the Demon. Bill Goldberg and World Heavyweight Champion, Hulk Hogan, defeated The Triad (Diamond Dallas Page, Kanyon, and Bam Bam Bigelow) by Disqualification. World Heavyweight Champion, Hulk Hogan, and Bill Goldberg defeated Sid Vicious, Rick Steiner, and Diamond Dallas Page in a Steel Cage Match. World Heavyweight Champion, Sting, and Lex Luger defeated Hulk Hogana and Bret Hart. Dean Malenko pinned Rey Misterio Jr.
World Heavyweight Title Tournament Match: Jeff Jarrett pinned Booker T.
Creative Control defeated Booker T.
Buff Bagwell pinned Booker T.
World Tag Team Champions, Creative Control, defeated Buff Bagwell and Booker T.
Lethal Lottery World Tag Team Title Tournament Match: David Flair and Crowbar defeated Vampiro and Evan Karagias. Randy Savage defeated Lex Luger. The Outsiders defeated World Tag Team Champions, The Steiner Brothers, in a non-title match. The Giant defeated Hollywood Hogan by Disqualification. Psichosis defeated Chavo Guerrero Jr.
Lex Luger defeated Scott Hall by Disqualification. Eddy Guerrero and Chris Jericho defeated Dean Malenko an Chavo Guerrero Jr.
Hollywood Hogan defeated Randy Savage. World Heavyweight Champion, Sting, defeated Scott Hall by Disqualification. Juventud Guerrera pinned Chavo Guerrero Jr.
Sting and Randy Savage defeated Scott Hall and Hollywood Hogan by Disqualification. Booker T. pinned Chavo Guerrero Jr.
Hollywood Hogan and World Tag Team Champions, The Outsiders, defeated World Heavyweight Champion, Sting, The Giant, and Randy Savage. World Television Champion, Booker T., pinned Chavo Guerrero Jr.
Sting and Lex Luger defeated Hollywood Hogan and Randy Savage by Disqualification. Randy Savage and Roddy Piper fought to a No Contest. Roddy Piper defeated Hollywood Hogan by Disqualification. World Heavyweight Champion, Sting, defeated Kevin Nash by Disqualification. Johnny Grunge pinned Chavo Guerrero Jr.
World Heavyweight Champion, Sting, and Kevin Nash fought to a No Contest. Sting, Lex Luger, and The Giant defeated Brian Adams, Konnan, and Scott Steiner by Disqualification. Scott Norton defeated Chavo Guerrero Jr.
Lex Luger defeated Kevin Nash by Disqualification. Chris Benoit defeatd Booker T.
World Heavyweight Champion, Hollywood Hogan, defeated Randy Savage by Disqualification. Lex Luger defeated Brian Adams. Sting and Lex Luger defeated The Giant and nWo Sting. Alex Wright pinned Chavo Guerrero Jr.
Kevin Nash and Lex Luger defeated Hollywood Hogan and The Giant by Disqualification. United States Champion, Bill Goldberg, pinned Chavo Guerrero Jr.
United States Champion, Bill Goldberg, pinned Glacier. Kevin Greene defeated The Giant by Disqualification. Bill Goldberg pinned Hollywood Hogan for the World Heavyweight Title. World Heavyweight Champion, Bill Goldberg, pinned Curt Hennig. Bret Hart pinned Diamond Dallas Page for the United States Title. Diamond Dallas Page defeated Hollywood Hogan by Disqualification. World Tag Team Champions, Scott Hall and The Giant, defeated Sting and Bret Hart. World Heavyweight Champion, Bill Goldberg, pinned Meng. World Heavyweight Champion, Bill Godlberg, defeated The Giant by Disqualification. Hollywood Hogan and The Giant fought to a No Contest with Bill Goldberg and Kevin Nash. Sting and lex Luger defeated Hollywood Hogan and Bret Hart by Count Out. Roddy Piper and Diamond Dallas Page defeated Sting and Lex Luger by Disqualification. World Heavyweight Champion, Bill Goldberg, pinned Sting. Konnan defeated Chavo Guerrero Jr.
Kevin Nash and Lex Luger defeated The Giant and Stevie Ray by Disqualification. Hollywood Hogan fought to a No Contest with Bret Hart and then with Sting. Kevin Nash and Scott Hall fought to a No Contest. United States Champion, Bret Hart, and Sting fought to a No Contest. Sting and The Warrior defeated Hollywood Hogan and Bret Hart by Disqualification. Bret Hart defeated Sting by Disqualification. Diamond Dallas Page pinned Bret Hart to win the United States Title. Lex Luger defeated The Giant by Disqualification. Scott Hall and The Giant fought to a No Contest with Kevin Nash and Lex Luger. World Heavyweight Champion, Bill Goldberg, and Bam Bam Bigelow fought to a No Contest. World Cruiserweight Champion, Billy Kidman, pinned Rey Misterio Jr.
World Heavyweight Champion, Bill Goldberg, and The Giant fought to a No Contest. Bret Hart defeated Diamond Dallas Page to win the United States Title. Chris Jericho pinned Bobby Duncum Jr.
Bam Bam Bigelow fought to a No Contest with Kevin Nash and Bill Goldberg in a Three Way Match. World Heavyweight Champion, Bill Goldberg, fought to a No Contest with Kevin Nash and Bam Bam Bigelow in a three way match. Eddy Guerrero pinned Rey Misterio Jr.
World Heavyweight Champion, Goldberg, defeated Scott Hall by Count Out. 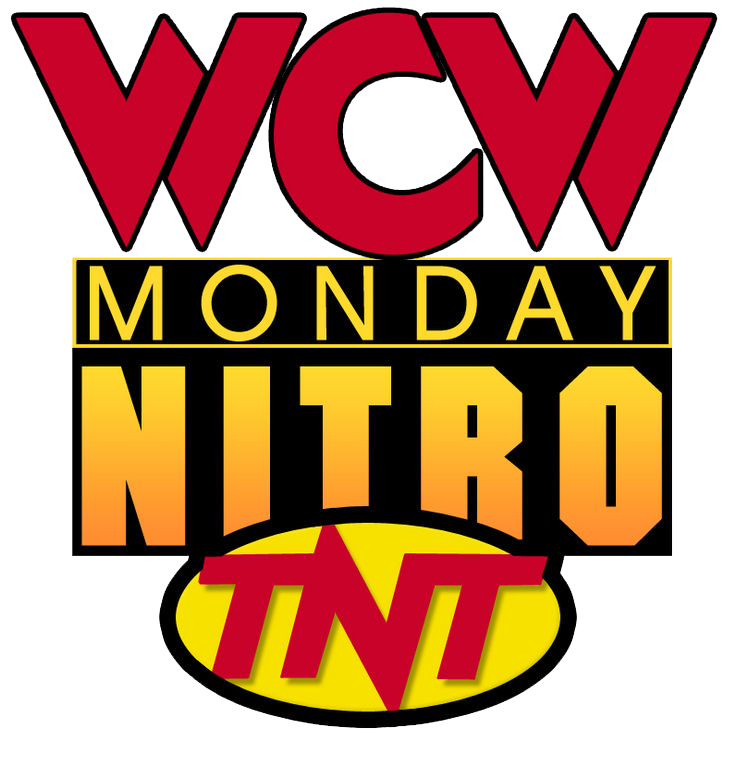 Norman Smiley defeated Chavo Guerrero Jr.
Eddy Guerrero and Juventud Guerrera defeated World Cruiserweight Champion, Billy Kidman, and Rey Misterio Jr.
Ric Flair defeated Eric Bischoff for the WCW Presidency. The Giant defeated World Champion, Hollywood Hogan, by Disqualification. Lex Luger defeated Stevie Ray. The Giant defeated World Hreavyweight Champion, Hulk Hogan, by Disqualification. The Ultimo Dragon defeated Rey Mendoza Jr.
Jeff Jarrett defeated Steve McMichael by Count Out. Chris Benoit and Steve McMichael defeated Chavo Guerrero Jr. and Jeff Jarrett. Chris Jericho pinned Jeff Jarrett. The Giant and Lex Luger and Harlem Heat battled to a No Contest. Juventud Guerrera pinned Rey Mendoza Jr. The Steiner Brothers battled The Giant and Lex Luger to a No Contest. Kevin Sullivan and Hardbody Harrison fought to a Double Count Out. Scott Norton pinned Chavo Guerrero Jr.
Harlem Heat and The Steiner Brothers fought to a No Contest. World Television Champion, Prince Iaukea, fought Randy Savage to a No Contest. The Steiner Brothers defeated High Voltage. Ultimo Dragon pinned Prince Iaukea to win the World Television Title. World Cruiserweight Champion, Syxx, defeated Rey Misterio Jr.
Diamond Dallas Page defeated Psichosis. Steve McMichael pinned The Barbarian. Konnan and Hugh Morrus defeated Alex Wright and Ice Train. Ric Flair defeated World Cruiserweight Champion, Syxx, by Disqualification. Harlem Heat defeated Jeff Jarrett and Steve McMichael. Ric Flair defeated Scott Hall by Disqualification. Roddy Piper and Ric Flair defeated World Tag Team Champions, The Outsiders, by Disqualification. Lex Luger and The Giant defeated World Heavyweight Champion, Hollywood Hogan, and Dennis Rodman by Disqualification. World Cruiserweight Champion, Syxx, defeated Chavo Guerrero Jr.
Diamond Dallas Page defeated Scott Hall by Disqualification. Kevin Nash pinned Rey Misterio Jr.
Scott Hall, Kevin Nash, and Randy Savage fought to a No Contest with The Giant, Diamond Dallas Page, and Lex Luger. The Steiner Brothers defeated Chris Benoit and Steve McMichael. Eddy Guerrero pinned Chavo Guerrero Jr.
United States Champion, Jeff Jarrett, defeated Ric Flair, by Disqualification. World Tag Team Champions, The Outsiders, defeated Ric Flair and Chris Benoit. Scott Steiner defeated Randy Savage by Disqualification. Villano IV and V defeated Hector Garza and Lizmark Jr.
Lex Luger defeated Hollywood Hogan to win the World Heavyweight Title. Curt Hennig defeated Randy Savage by Disqualification. Diamond Dallas Page and Lex Luger defeated World Tag Team Champions, The Outsiders, by Disqualification. Lex Luger and Randy Savage fought to a No Contest. Randy Savage and Scott Hall defeated Diamond Dallas Page and Lex Luger. Diamond Dallas Page and Lex Luger fought to a No Contest. Curt Hennig pinned Steve McMichael to win the United States Title. United States Champion, Curt Hennig, pinned Jeff Jarrett. The Giant defeated United States Champion, Curt Hennig, by Disqualification. United States Champion, Curt Hennig, pinned Chris Benoit. Dean Malenko defeated Rey Misterio Jr.
United States Champion, Curt Hennig, defeated Diamond Dallas Page by Disqualification. Scott Hall pinned Scott Steiner. Ric Flair defeated Randy Savage by Disqualification. United States Champion, Curt Hennig, defeated Lex Luger by Disqualification. Lex Luger defeated Ric Flair by Disqualification. The Giant defeated Scott Hall by Disqualification. The Giant defeated World Heavyweight Champion, Hollywood Hogan, by Disqualification. Diamond Dallas Page defeated United States Champion, Curt Hennig, by Disqualification. Randy Savage pinned Booker T.
Ric Flair defeated United States Champion, Curt Hennig, by Disqualification. Randy Savage pinned Lex Luger. Hulk Hogan defeated World Heavyweight Champion, Ric Flair by Disqualification. Sting defeated Diamond Dallas Page by submission. Hulk Hogan and Randy Savage defeated World Heavyweight Champion, Ric Flair, and Arn Anderson. Hulk Hogan defeated United States Champion, One Man Gang, in a non-title match. The Giant defeated World Heavyweight Champion, Randy Savage, by Disqualification. World Tag Team Champions, Sting and Lex Luger, defeated the Road Warriors. Arn Anderson defeated Hulk Hogan with help from Miss Elizabeth's high heel shoe. World Heavyweight Champion, Ric Flair, defeated Randy Savage. Hulk Hogan, Randy Savage, and The Booty Man defeated Ric Flair, Arn Anderson, and Kevin Sullivan. Hulk Hogan, Randy Savage, and Booty Man defeated Ric Flair, Arn Anderson, and Kevin Sullivan in a Lumberjack-Strap Match. Hulk Hogan and Randy Savage defeated Ric Flair and Kevin Sullivan by Disqualification in a Texas-Tornado Tag Team Match. World Heavyweight Champion, Ric Flair, and Giant faught to a No-Contest. World Heavyweight Champion, Ric Flair, pinned Lex Luger. World Tag Team Champions, Sting and Lex Luger, defeated the Giant and Ric Flair by Disqualification. World Tag Team Champions, Sting and World TV Champion, Lex Luger defeated World Heavyweight Champion, Ric Flair, and the Giant by Disqualification in a match where all the titles were on the line. The Giant defeated Ric Flair to win the World Heavyweight title. This was a shorter broadcast as TNT was airing the NBA Playoffs that night. World Heavyweight Champion, The Giant, pinned Jim Duggan. Lex Luger and World Heavyweight Champion, The Giant, faught to a Double Count-Out. World Heavyweight Champion, The Giant, defeated Arn Anderson. Mike Enos and Steve Doll fuaght to a No-Contest when Scott Hall interfered. He cut a promo in the ring saying "You want a war, you're going to get one". Scott Steiner and Sting battled to a Double Disqualification. This was the first week of the "Hostile Takeover" which we later came to know as the New World Order. The Steiner Brothers defeated World Tag Team Champions, Sting and Lex Luger, by Disqualification. World Tag Team Champions, Sting and Lex Luger, defeated Ric Flair and Arn Anderson by Disqualification. World Heavyweight Champion, The Giant defeated Scott Steiner. Harlem Heat defeated Sting and Lex Luger and the Steiner Brothers in a Triangle Match for the World Tag Team Titles. Ric FLair, Arn Anderson, Chris Benoit, and Steve McMichael defeated Joe Gomez, the Renegade, and the Rock and Roll Express. Sting defeated Arn Anderson by submission. Big Bubba Rogers defeated World Television Champion Lex Luger, by Disqualification. Sting, Lex Luger, and Randy Savage defeated Arn Anderson, Chris Benoit, and Steve McMichael. World Havyweight Champion, The Giant defeated Greg Valentine. Sting and Lex Luger defeated the Nasty Boys. Sting and Lex Luger battled Scott Hall and Kevin Nash to a No-Contest. Sting and Lex Luger battled Chris Benoit and Steve McMichael to a No-Contest when the nWo interfered. Rey Misterio, Jr. vs. J.L. nWo take over the broadcast booth. Ric Flair, Arn Anderson, Chris Benoit, and Steve McMichael defeated Kevin Sullivan, Big Bubba Rogers, and the Faces of Fear. "Sting" turns on Lex Luger who approached him in the parking lot. The nWo beats down Luger. It appears "Sting" has joined the nWo. John Tenta defeated Randy Savage by Count-Out. Randy Savage tracked down the nWo where Elizabeth had signed her contract to join the nWo. The show ends with Savage out of his mind with emotion over her signing with them yelling "You've gotta be ribbin'!!" Sting tells all who doubted him to "stick it". These would be the last words he'd speak in nearly 2 years. Lex Luger defeated Chris Benoit and Steve McMichael by Disqualification in a handicap match. The nWo attacks Randy Savage with the Giant chokeslamming him a number of times while Hulk Hogan spraypaints Savage's back yellow. Miss Elizabeth runs in to protect Savage from more damage and Hogan spraypaints and spits on her also. Scott Hall and Kevin Nash defeated High Voltage. Chris Benoit defeated Rick Steiner. Eric Bischoff says the worst thing he ever did was bringing Hulk Hogan to WCW. Ric Flair vs. Randy Savage was cancelled when the nWo attacked both wrestlers. Syxx runs over the Nitro set with Hulk Hogan's monster truck from last year's Halloween Havoc painted black and white for the nWo. World Tag Team Champions, Harlem Heat and the Faces of Fear battled to a no-contest. 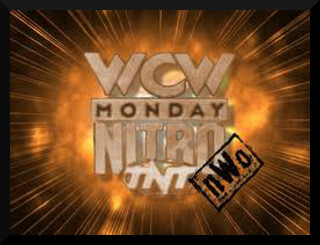 nWo Sting fought Mr. JL to a no-contest. Hulk Hogan does a promo video from the set of 3 Ninjas, High Noon at Mega Mountain. It features Miss Elizabeth in his trailer being repremanded. Randy Savage goes nuts seeing this in the arena. Booker T. defeated Lex Luger by Count-Out. Lex Luger pinned Booker T.
Eric Bischoff calls from the road claiming to be in Portland. He is trying to get Roddy Piper to sign to face Hulk Hogan. The Faces of Fear defeated The American Males. Roddy Piper music video airs. It is for the song "I'm Your Man". The story goes, a fan threw the video at Tony Schiavone at the beginning of the show and said it would clear up the mystery of if Piper would wrestle Hulk Hogan. During the music video, Piper looks up at the marquee which reads "Rowdy" Roddy Piper VS Hulk Hogan". The implication being, Piper wants the war that actually will settle the score. Harlem Heat and the Faces of Fear fought to a No Contest. Rick Steiner VS Sting was a no contest. Sting confronted Steiner with the bat and did the "handing of the bat" to Steiner and turning around. In the end, Sting Scorpion Deathdropped Stener who wasn't very trusting of Sting. Eric Bischoff and Ted DiBiase storm the announce booth and call the action chasing off Bobby Heenan and Tony Schiavone. Sonny Onno and Masahiro Chono interview. Chono turns on Onno and reveals that he is the newest member of the nWo. Chris Jericho defeated Masahiro Chono by Disqualification when Chono tied Jericho in the ropes hanging outside the ring and beat on him. The Faces of Fear battled The Outsiders to a No Contest. Jeff Jarrett pinned Rick Steiner. Sting, again, Scorpion Deathdropped Rick Steiner leading to Jarrett's victory and the rumors of Jarrett joining the nWo. The nWo's troubles continued as THe Giant said that it wasn't his fault Hogan lost to Piper at Starcade. They said he "dropped the ball". The nWo turned on the Giant and left him laying. World Heavyweight Champion, Hulk Hogan, pinned Big Bubba Rogers. World Heavyweight Champion, Hulk Hogan defeated Lex Luger by Disqualification. Ric Flair defeated Arn Anderson by Disqualification. Arn Anderson pinned Ric Flair in a steel cage match. United States Champion, Sting, defeated Dean Malenko. World Heavyweight Champion, Hulk Hogan, and United States Champion, Sting, battled to a No-Contest when the Dungeon of Doom interfered. The Giant pinned Scott Norton. Lex Luger defeated World Heavyweight Champion, Randy Savage, by Disqualification. Paul Orndorff defeated Disco Inferno, Orndorff was attacked by the IV Horsemen after this match resulting in him taking a piledriver on the floor. This ended Paul Orndorff's active wrestling career. The Giant defeated World Heavyweight Champion Randy Savage, by Disqualification. World Heavyweight Champion, Randy Savage, defeated Ric Flair by Disqualification.